This name uses Spanish naming customs: the first or paternal family name is Vásquez de Coronado and the second or maternal family name is Luján. 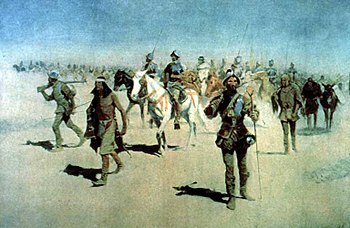 Wikimedia Commons has media related to Francisco Vázquez de Coronado. 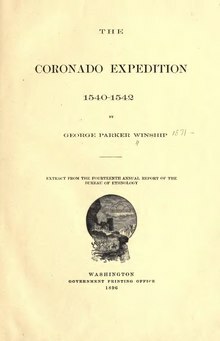 Wikisource has the text of a 1911 Encyclopædia Britannica article about Francisco Vásquez de Coronado. This page was last edited on 19 April 2019, at 18:01 (UTC).